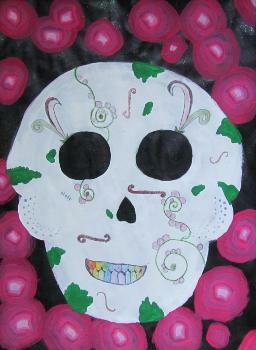 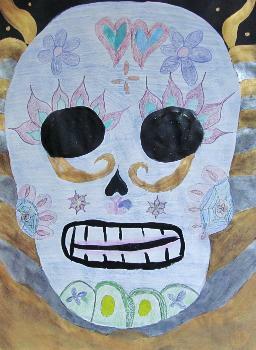 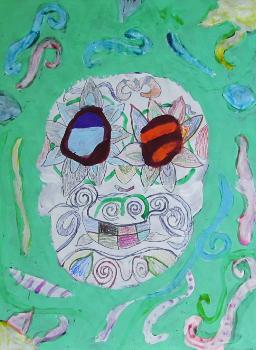 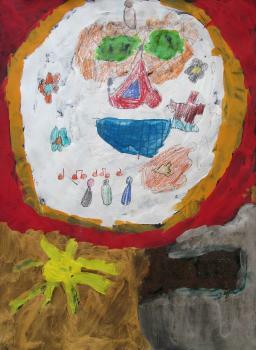 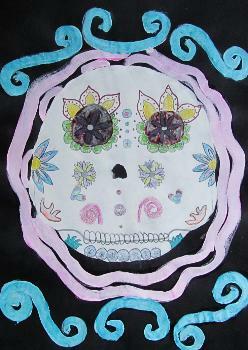 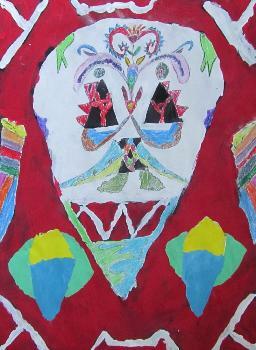 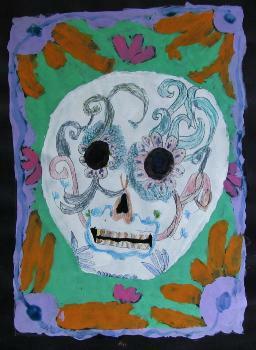 Art Start students learned about the Mexican holiday "Dia de los Muertos" (Day of the Dead) which takes place November 1 and 2. 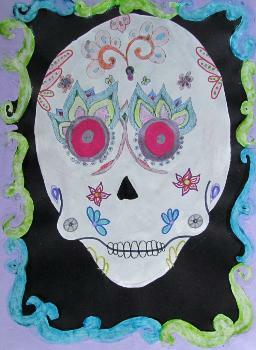 Different from Halloween, Day of the Dead is about honoring family members who have died. 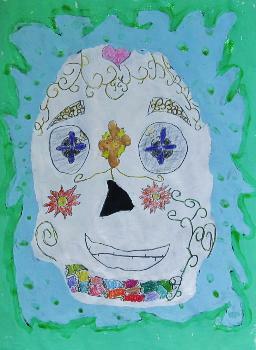 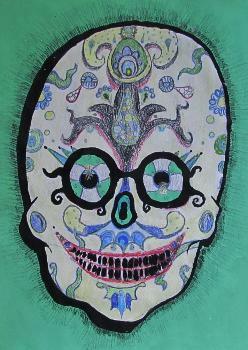 Many art forms are associated with this holiday, including candy sugar skulls, which were the inspiration for our paintings. 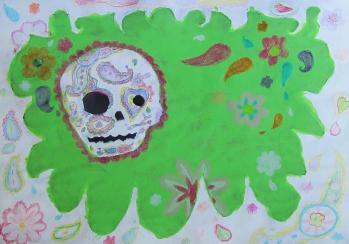 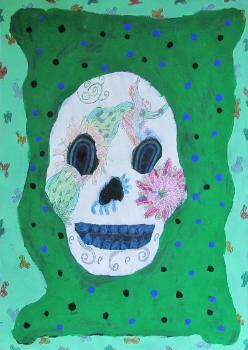 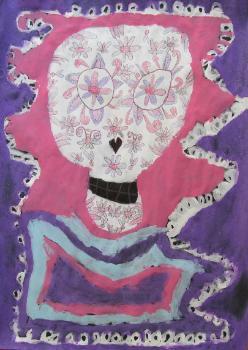 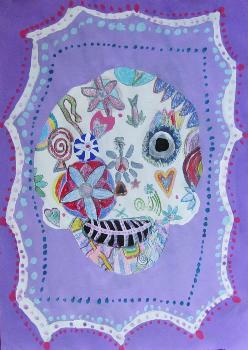 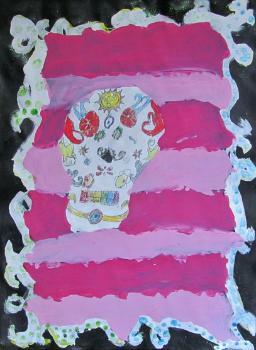 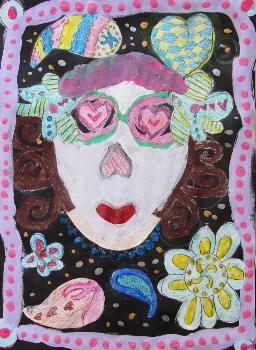 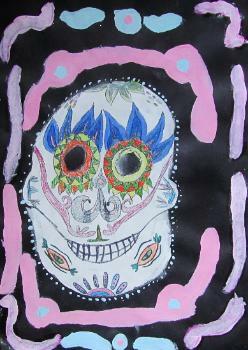 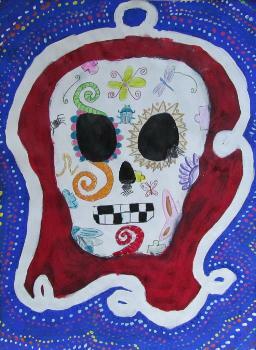 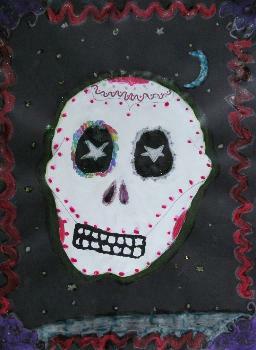 We also studied artist Thaneeya McArdle and her Sugar Skull paintings (right). 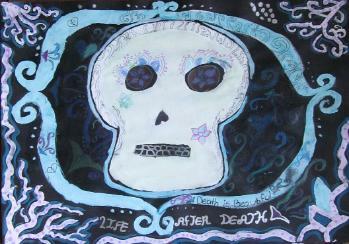 The paintings were made using tempera and colored pencil on black paper. 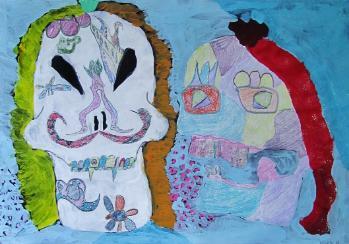 When individual paintings were complete, classmates worked on large scale group paintings of Day of the Dead musicians (left). 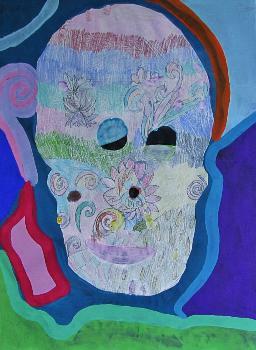 These large paintings and the smaller ones below were on display at the Cary Library for the month of October 2013.